A rigorous new thinking of the photograph in its relation to science, philosophy, and art, so as to discover an essence of photography that precedes its historical, technological, and aesthetic conditions. 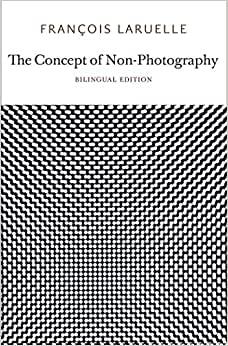 Start reading The Concept of Non-Photography (French Edition) on your Kindle in under a minute. What excites Laruelle is that photography incarnates a decisionless move from original to copy. Hence, contrary to the whole modern history of photography theory that assumes a wholly specular relationship between photography and its referents, photography is, in itself, a fundamentally anti-specular mechanism. Fran+ºois Laruelle, Professor Emeritus at the University of Paris X (Nanterre), is the author of more than twenty books, including including Biography of the Ordinary Man, Theory of Strangers, Principles of Non-Philosophy, Future Christ, Struggle and Utopia at the End Times of Philosophy, Anti-Badiou, and Non-Standard Philosophy. I found this book to be utterly incomprehensible.